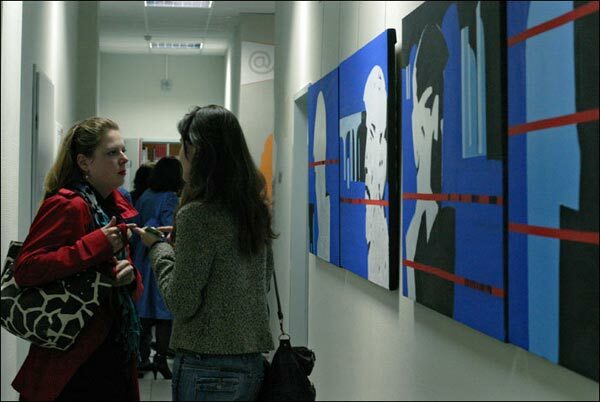 The art show "ЛІТÄRA - Visual Examination of Poetry" opened in Minsk in Goethe-Institut in Belarus on September 8, 2010. Hence Belarusian word meaning "лiтара" - "letter" as the name of the event with a distinctive German accent. What happens with a text after it’s digested by a painter? What kind of new dimensions are uncovered as a result? These are the questions a number of Belarusian artists faced when they were asked to interpret visually works by contemporary German poets. 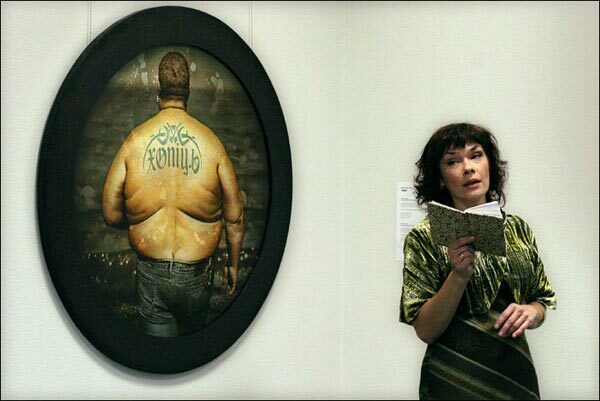 Ruslan Vashkevich, Mikhail Gulin, Antonina Slobodchikova, Alexei Ivanov, Sergey Shabohin, Sergei Kiryuschenko, Alexey Lunev, Zoja Lutsewich, Olga Sazykina and Alexander Nekrashevich presented their paintings, graphic works, installations and video. Each participant of the project chose one or several pieces of poetry and tried to examine them using their own artistic means. The art show is on display through September 8, 2010.